Home » » DVD News: Release dates Live Free or Die Hard, Ocean’s Thirteen, The Invasion + seasons of The Wire (4), Lovejoy (2), L&A:SVU, Hu$tle and more. 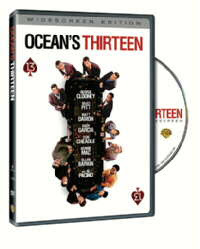 DVD News: Release dates Live Free or Die Hard, Ocean’s Thirteen, The Invasion + seasons of The Wire (4), Lovejoy (2), L&A:SVU, Hu$tle and more. Ocean’s Thirteen: It’s bolder. Riskier. The most dazzling heist yet. George Clooney, Brad Pitt, Matt Damon and more reteam with director Steven Soderbergh for a split-second caper that stacks the deck with wit, style and cool. Danny Ocean again runs the game, so no rough stuff. No one gets hurt. Except for double-crossing Vegas kingpin Willy Bank (Al Pacino). Ocean’s crew will hit him where it hurts: in his wallet. On opening night of Bank’s posh new casino tower The Bank, every turn of a card and roll of the dice will come up a winner for bettors. And they’ll hit him in his pride, making sure the tower doesn’t receive a coveted Five Diamond Award. That’s just the start of the flimflams. The boys are out to break The Bank. Place your bets! Nov 20th: Live Free or Die Hard: A Two DVD-set that features both the theatrical PG-13 release as well as the unrated version. “The best of the best is back and better than ever” (WNYW-TV) in the latest installment of the pulse-pounding, thrill-a-minute Die Hard action films. New York City detective John McClane (Bruce Willis) delivers old-school justice to a new breed of terrorists when a massive computer attack on the U.S. infrastructure threatens to shut down the entire country over Independence Day weekend. Locked and loaded with real stunts, genuine humor and nonstop excitement, Live Free or Die Hard is “a slick piece of action entertainment” (Los Angeles Times). Yippee-ki-yay! One of the best seasons of television ever will be available, on DVD, on December 4. Season Four of The Wire was ignored by the Emmy Voters (who apparently filled their HBO viewing quota with The Sopranos) in what may very well be the most inexcusable snub in the history of the Emmys. With the fall of Barksdale and the ascent of young Marlo Stanfield as West Baltimore’s drug king, the detail continues to “follow the money” up the political ladder in the midst of a mayoral election that pits the black incumbent, Clarence Royce, against an ambitious white councilman, Tommy Carcetti. The theme of urban education is explored through four new characters ? 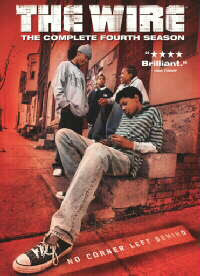 Michael Lee, Namond Brice, Randy Wagstaff and “Dukie” Weems as they traverse adolescence in the stunted, drug-saturated streets of West Baltimore. The world that awaits these boys and the American commitment to equal opportunity are depicted brilliantly in the edgy, all too realistic Season 4 of The Wire. Law & Order: Special Victims Unit – The Fourth Year will also be available on Dec 4th. Hu$tle: Season Four Read Jon’s write-up of seasons 1-3. The Invasion: A remake of Invasion of the Body Snatchers. The story of a mysterious epidemic that alters the behavior of human beings. When a Washington D.C. psychiatrist (Nicole Kidman) discovers the epidemics origins are extraterrestrial, she must fight to protect her son, who may hold the key to stopping the escalating invasion. Lovejoy:Season Two. The popular british series was based on the character created by mystery novelist Jonathon Gash. MI-5: Volume 5: A popular British series about the famed U.K. intelligence organization. For a more complete look at forthcoming crime related DVDs, visit the Crimespree DVD Calendar.